A favourite crunchy treat of almost everyone we know. 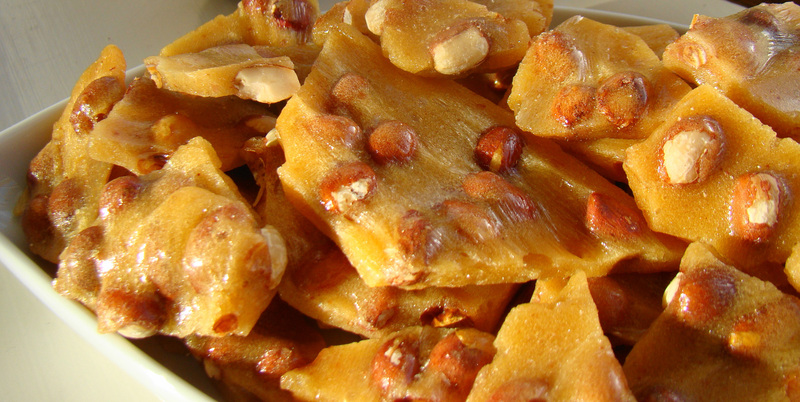 Sweet and a little salty, peanut brittle is easy to make and delicious – try our recipe for yourself. You can also substitute other nuts like cashews or almonds if you wish. 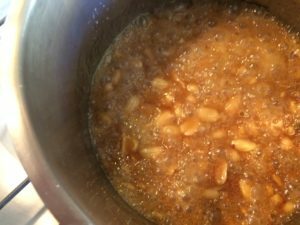 Have everything ready and measured out as during the making peanut brittle can happen quickly and you won’t have time to gather and measure ingredients between steps. Step 1. 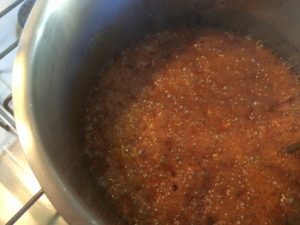 Place the sugar, glucose and water in a heavy based saucepan. 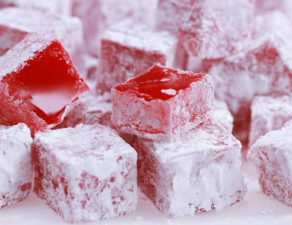 On moderate heat, heat until all the sugar dissolves. Keep heating until the temperature on the sugar thermometer reaches 125 degrees Celsius. This step is likely to take some time [between 15 to 20 minutes]. 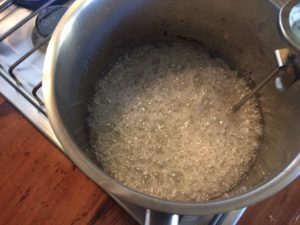 In this step most of the water will evaporate leaving the sugar syrup to polymerise or combine. Step 2. 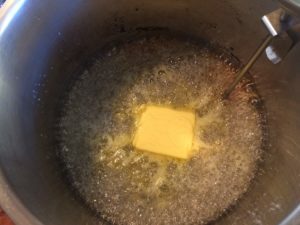 At 125 degrees C add the peanuts and butter. Stir well then reduce the heat to low. 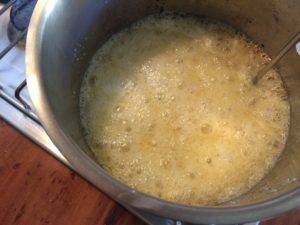 The temperature will rise slowly and the colour of the syrup will start to change from white to caramel to deeper caramel. Step 3. When the teperature reaches 150 degrees C, the viscosity of the syrup will decrease and become thinner and less sticky. Turn the heat off and then pour the syrup into a greased, flat metal tray. Allow the brittle to cool. When the temperature reaches 150 degrees C and you turn off the heat. The brittle will go through a stage where it can be cut with a knife. Cut it to any desired shape.